Original Equipment Manufacturers, or OEMs, use a number of different kinds of materials to make smartphone glass. Not to be confused with the tech inside of the displays, we’re referring to the actual glass that covers them. Most modern smartphones feature some sort of toughened glass face, the most common of which is Corning’s Gorilla Glass. Less common is the Japanese-made Asahi Dragontrail glass; rarer still is a coating that’s not glass at all, but Sapphire. Aside from materials, there are also varying structures of glass. While smartphones used to use a typical pane (2D) of glass, we are more commonly seeing curved screens (3D, like on the Samsung Galaxy Edge series) and flat screens with curved edges (2.5D, like on the V30). Let’s take a look at the various types of materials used to protect screens on your phones and tablets. We’ll explore some of the differences between them, highlighting some of the most interesting and relevant details. Gorilla Glass is an alkali-aluminosilicate glass manufactured by the New York-based Corning. Over the last few years it’s become the brand name of display glasses, becoming synonymous with durability of displays. Corning designed Gorilla Glass to be scratch-resistant, drop-resistant, and crystal clear to ensure the best possible picture. 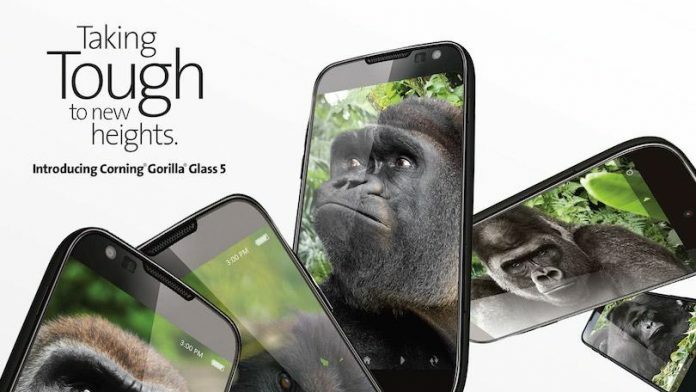 Gorilla Glass 6 is an entirely new glass composition that can be chemically strengthened to give it significantly higher levels of compression than is possible with Gorilla Glass 5. This enables Gorilla Glass 6 to be more resistant to damage,” said Dr. Jaymin Amin, vice president of technology and product development, Corning Gorilla Glass and Corning Specialty Materials. “Moreover, with breaks during drops being a probabilistic event, the added compression helps increase, on average, the likelihood of survival through multiple drop events. While Gorilla Glass 6 has been announced, we don’t have any laboratory-level testing for it yet. It’s only been confirmed on one phone (the Oppo r15) thus far, and none in the US, but we’ll keep our eyes out for more. If the press release from Corning is any indication, Gorilla Glass 6 should be the biggest improvement in smartphone glass yet. Corning boasts that Gorilla Glass 6 is twice as impervious as Gorilla Glass 5, and can withstand 15 drops of up to 1 meter without damage. We’ll see. Corning® Gorilla® Glass SR+ is a glass composite designed specifically for wearables that combines the legendary toughness, optical clarity and touch sensitivity of Gorilla Glass with superior scratch resistance approaching that of luxury watch cover materials. Corning® Gorilla® Glass 5 – Corning’s latest glass design was formulated to address breakage – the greatest concern of consumers, according to Corning’s research. The new glass is just as thin and light as previous versions, but has been formulated to deliver dramatically improved damage resistance allowing improved in-field performance. Corning® Gorilla® Glass 5 has been tested for performance when subjected to sharp contact damage. According to Corning, phones with Gorilla Glass 5 can survive drops of up to 1.6 meters. Moreover, its tech can prevent cracks in up to 80% of falls onto extremely hard surfaces from heights of one meter. It was the fourth generation of Corning’s tech where the company decided to tackle the idea of being resistant to drops. Remember the commercials for the Droid Turbo in late 2014? This was the era where the uncrackable glass took off, giving phones a much tougher protection over displays. Twice as strong as its predecessor, it definitely changed the game. Dragontrail glass, like Gorilla glass, is an alkali aluminosilicate Japan-made by the Asahi Glass Company. The high-end of Dragontrail’s product line, PRO, actually sports a higher hardness rating than Gorilla Glass 5, according to Vickers Hardness rating. It should be noted that Corning and Asahi use different standards to measure drop testing, so it’s hard to compare them side by side. Dragontrail glass is more common among mid-tier Chinese-manufactured phones, with Western-marketed ones favoring Gorilla Glass. While there isn’t a “name-brand” manufacturer for Sapphire smartphone glass, it’s relevant enough to mention here. Rather than making a phone’s screen out of glass, as is so common, it’s made of Sapphire – an exceedingly hard (and subsequently brittle) gem. 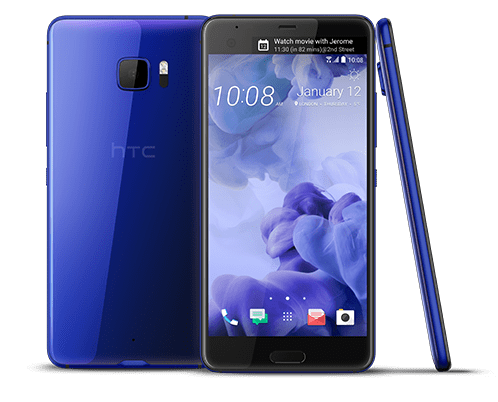 Perhaps the most famous smartphone with a Sapphire display is last year’s special edition HTC U Ultra. Though it’s extremely scratch-resistant, mitigating the need for a screen-protector, a Sapphire display is also very brittle, and thus prone to shattering on impact. So while a Sapphire coated smartphone display solves one problem – scratches – it makes another one – drops – worse. Sounds like a buzzword, right? Gotta be something some marketing exec made up and slapped on a smartphone’s box, no? While 2.5D smartphone glass is purely aesthetic and ergonomic in nature, with no real practical application, it does represent a technological process in making great-looking displays. Samsung’s Galaxy Edge and Note series use 3D glass in which the entire display curves, resulting in curved sensors beneath the glass. On the other hand, 2.5D glass is completely flat on its face. This allows OEMs to continue to use technology like Corning Gorilla Glass without trouble. The extra 0.5D comes from the curved edges of the display that drape over the edges of the phone, creating the bezel-less appearance that’s so popular these days. 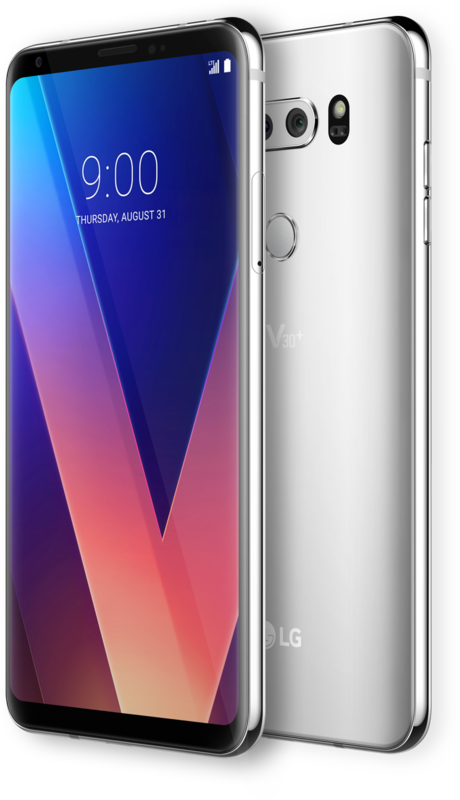 You’ll find 2.5D glass on phones like the LG V30 and the Galaxy S series.